Greetings from Antonio Castaldo of Brusciano! Home » Uncategorized » Greetings from Antonio Castaldo of Brusciano! 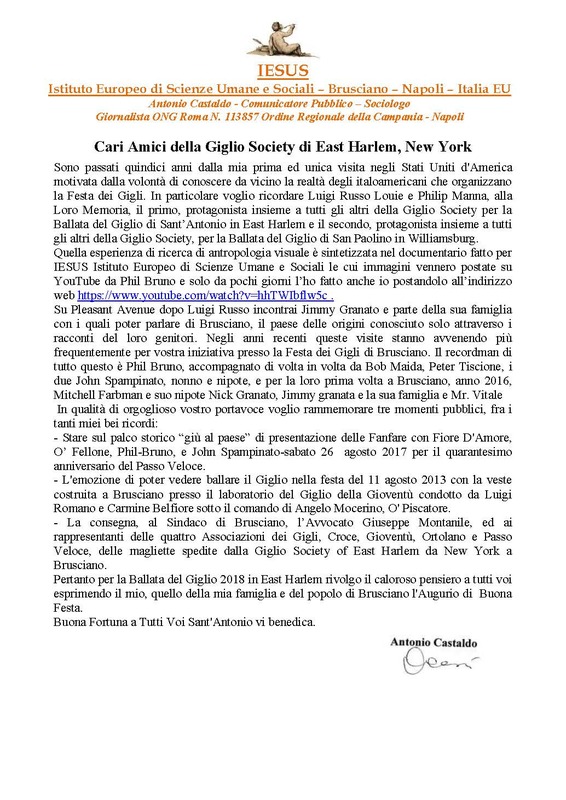 Personal letter of congratulations on this year’s 2018 East Harlem Giglio Feast from Antonio Castaldo from Brusciano, where our Feast originated! !